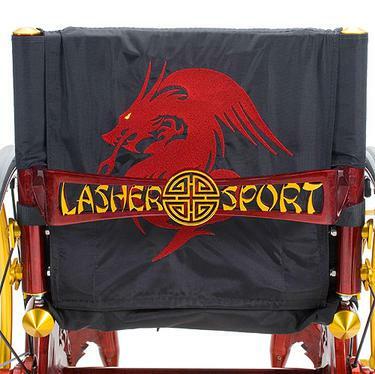 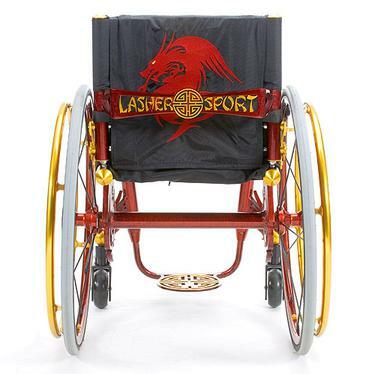 The Dragon Chair was developed solely to be a show chair. 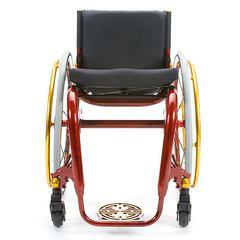 We wanted to take the BT-G Tribal chair to the limit, and the Dragon chair was conceived. 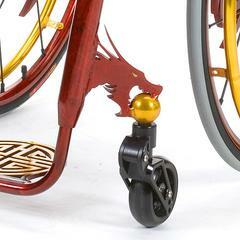 In Asia, dragons and the red-and-black colour scheme are considered good luck. 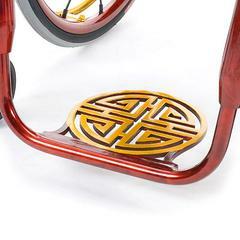 The Chinese symbol on the footrest is also a sign of good luck. All dragons and metal cut-outs were cut with an abrasive water jet CNC machine. 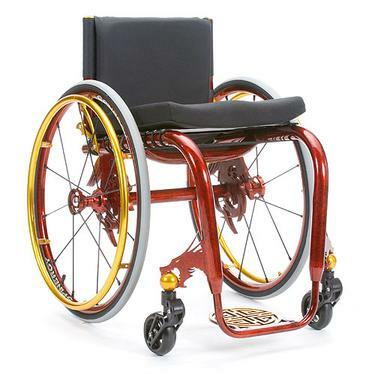 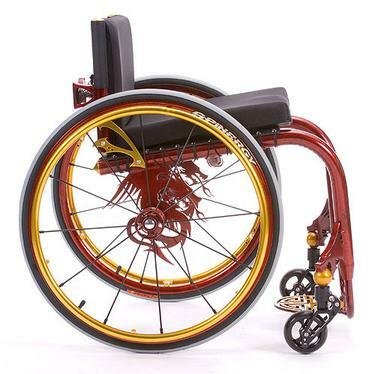 The chair was painstakingly anodized using complex masking by Ralph Aguilera, a master anodizer and perfectionist. 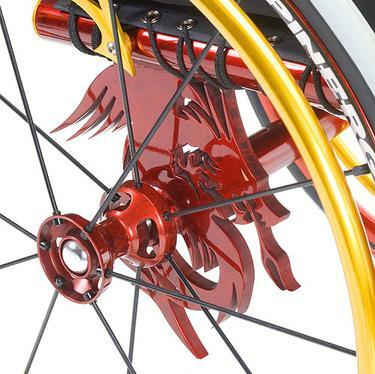 Even the push rim nuts and bolts were anodized! Ralph anodizes all of Lasher Sport's anodized frames. Basically, this chair brings a lot of good luck!